Photo courtesy of the Russell Collection Fine Art Gallery. 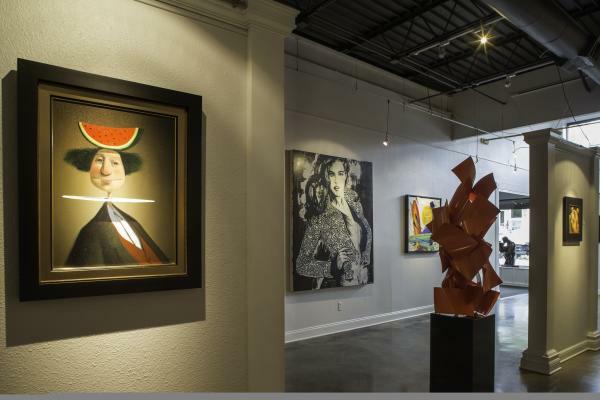 Russell Collection Fine Art Gallery: Boasting a gallery full of museum-quality art, the Russell Collection Fine Art Gallery has been showcasing everything from Picasso to Matisse in west Austin. The gallery&apos;s permanent collection consists of about 100 original works, making it one of the premier visual arts galleries in central Texas. Studio 10 Art Gallery: This gallery, located right in the heart of Clarksville, is characterized by a clean and open layout showcasing paintings and sculptures in various mediums. From contemporary art to surrealism, Studio 10 Art Gallery provides a wide variety of exhibits that will satisfy any art lover. Davis Gallery: Home to some of the best local and regional painters, printmakers, sculptors and ceramicists, Davis Gallery has been the winner of numerous critics’ awards as well as the respect of the Austin art community. With a warm setting that encourages audience engagement through fine contemporary art, rotating installments are curated to provoke community and visitor interest alongside the gallery&apos;s permanent works. Wally Workman Gallery: Situated in a 100 year-old historic home in Austin’s art district, the Wally Workman Gallery presents works by both emerging artists as well as more well-known contemporaries. The exhibition space is made up of two stories that include the work of more than 50 artists. Periodically, the Wally Workman Gallery holds events which celebrate the art and artists on display in the unique space. The HOPE Outdoor Gallery: Also known as “graffiti park,” this open air gallery is unlike any other in Austin. Located in an empty lot on Castle Hill, the gallery&apos;s concrete walls are readily available for local and visiting street artists to fill with their inspirational artwork. The gallery is open to the public to climb, enjoy and take pictures of, keeping the oddity of Austin alive. Contributed by Maggie Rosenbohm, ACVB Marketing Intern.